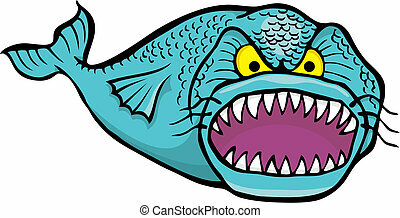 Angry fish. 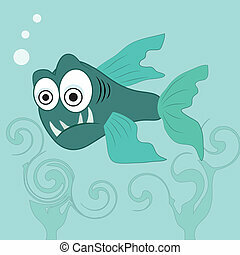 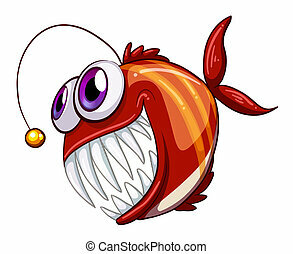 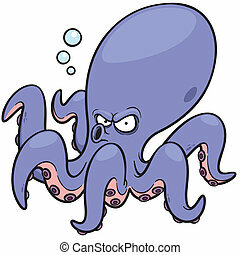 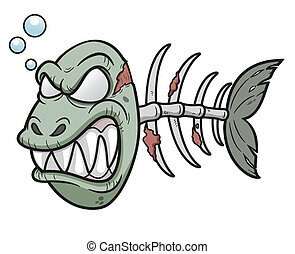 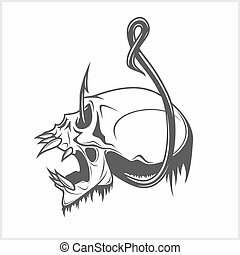 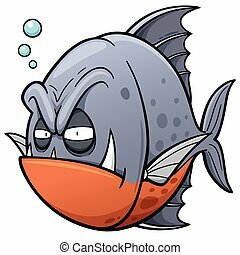 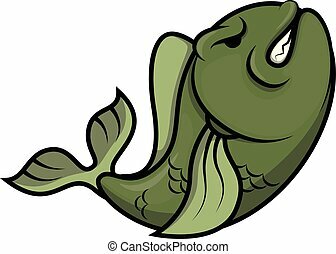 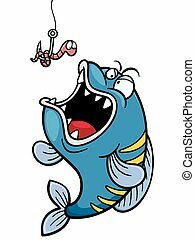 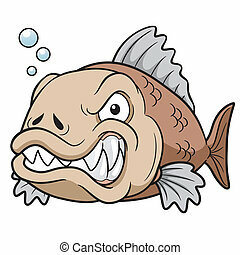 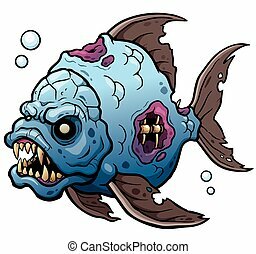 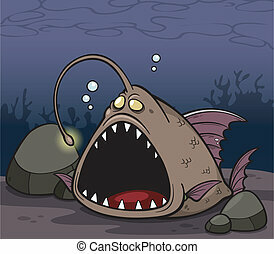 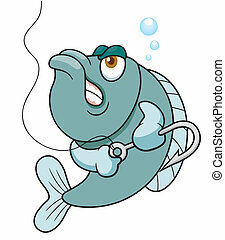 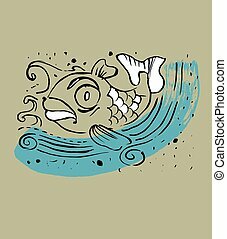 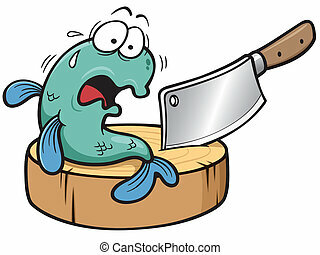 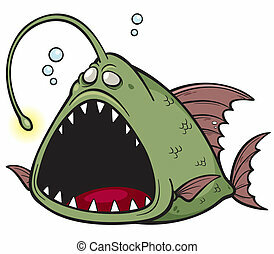 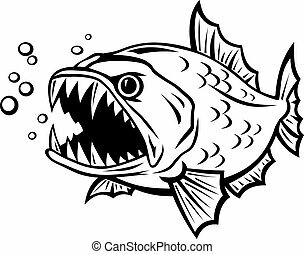 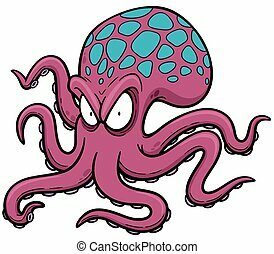 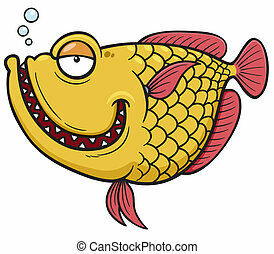 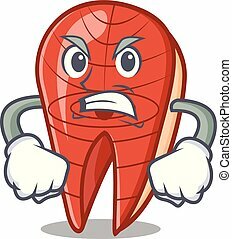 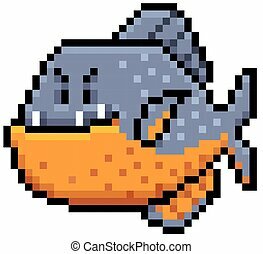 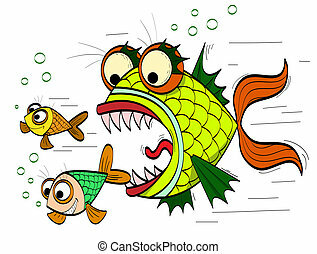 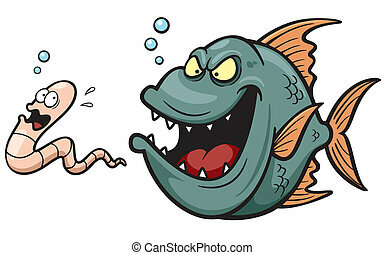 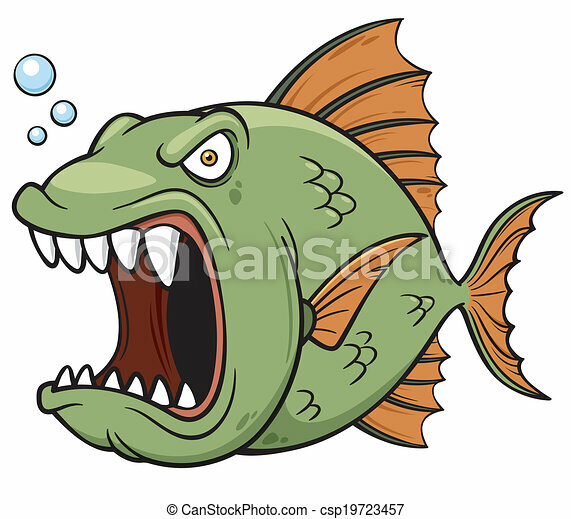 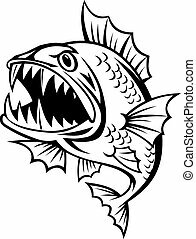 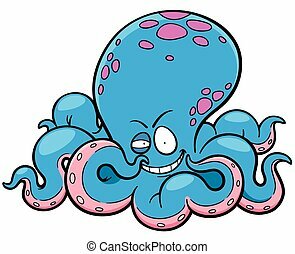 Vector illustration of angry fish cartoon. 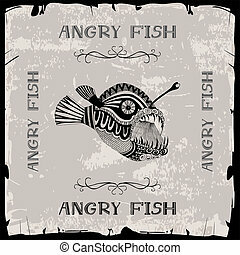 Angry fish. 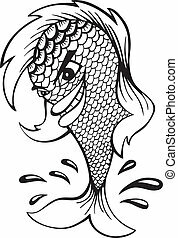 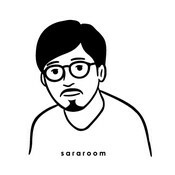 Black and white vector illustration in cartoon style.